A year ago, Osaka was the 72nd-ranked player on the WTA. She was 20 years old and had only ever reached the third round of a Grand Slam before last year’s Australian Open, in which she made it to the fourth before losing to eventual runner-up Simona Halep. A win at Indian Wells and two more unremarkable major showings followed before the US Open. There, of course, she upended everyone and rocked Serena Williams in an instantly infamous final which history is taking great care to remember more for a referee and what “coaching” actually means than for Osaka’s dominant performance. At 20 years old, she wasn’t even able to enjoy her first Slam title. A two-time champion of Wimbledon, but not since 2014, Kvitova battled physical demons, first struggling with mononucleosis in 2015 and then, just before Christmas a year later, sustaining injuries to her dominant left hand during a knife attack and robbery at her home. Though she would recover in time to win a Wimbledon tune-up the following June, she looked out of sorts for much of the year before fully bouncing back in 2018. Both looked at this tournament, and this match, as a means of reconciliation. They’d never played each other prior to this final, and it ended up being a showcase in contrast. Kvitova’s gigantic serves gave way to Osaka’s splendidly measured forehands; whereas Osaka struggled at the net, not winning a single point, Kvitova won 10 of the 12 she faced. For Kvitova, the unforced errors were her undoing: 39 to Osaka’s 33. Both players had a knack for immediately recovering after a mental error or point otherwise gone awry. 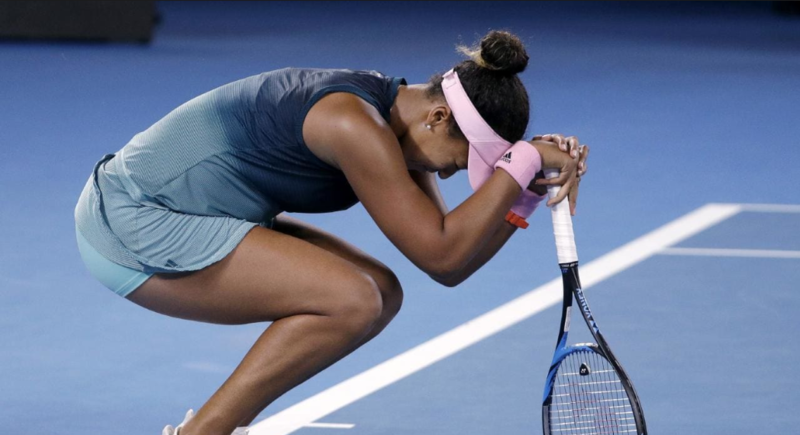 To her credit, Osaka sometimes flashed a smile right after a mistake, but after going to the locker room to regroup, visibly frustrated and sporting a towel over her head after Kvitova faced down three championship points and won the second set, she finally started to look like herself in the third. Upon winning, Osaka has now won 60 straight matches in which she won the first set as well as 14 straight Grand Slam matches. 46 of the last 50 women’s major champions won the first set. Osaka is a 21-year-old, two-time major champion whose stellar play moved everyone watching, and afterward, it was evident she had exhausted her supply. Resilience, it seems, was widespread, though in extremely varied measures. Now, with the eyes of the tennis world upon her and a fresh #1 WTA ranking arriving Monday, Naomi Osaka can start again.